I admittedly cringed when I first saw the labels ‘folktronica’ and ‘electrofolk,’ which both seem to connotate some hollowed out, emotionless technically diluted version of folk music, especially since folk, in its essence, stands against everything electronica presents. It only goes to show how rare and utterly talented Hundred Waters is that they can embrace and surpass the labels as they meld cascading harmonies, gentle acoustics and oceans of sentimentality with stuttering electronics and metallic tones. The self-titled debut album of Hundred Waters doesn’t really sound like much else we’ve heard and with the easily accessible influx of bands through the millions of blogs and streaming music sites, such a uniquity is an accomplishment in and of itself. 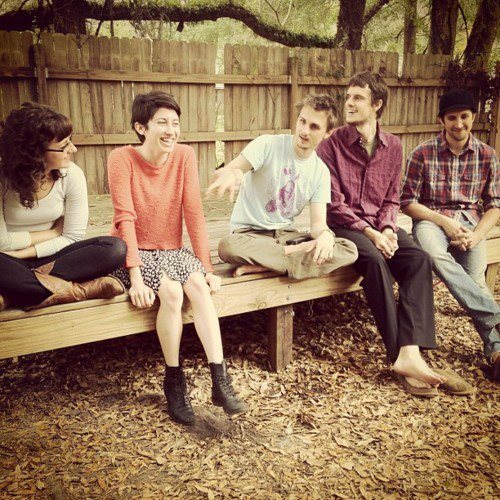 The Gainesville, Florida quintet expertly handle delicate melodies by turning them into 1s and 0s without ever losing the emotional complexity that is typically lost when a song is filtered through a computer. For the next time you find yourself trippin’ in the backwoods of Kentucky or at a rave in Alabama.